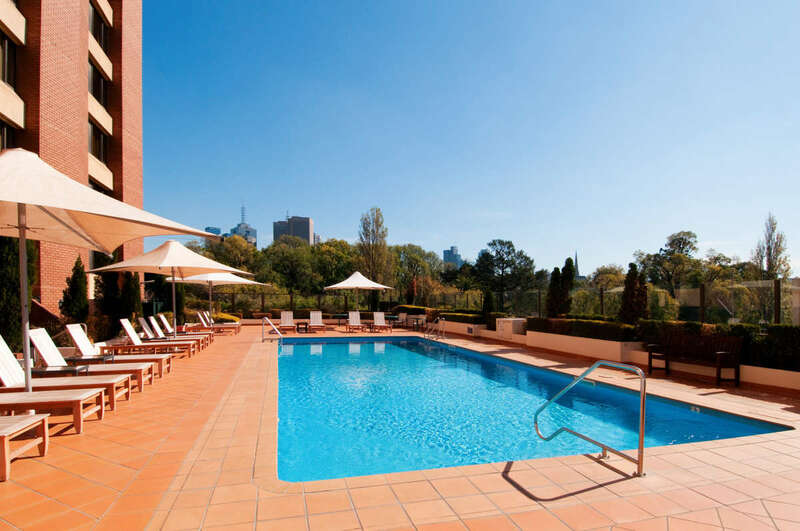 Pullman Melbourne on the Park, situated in picturesque East Melbourne and overlooking the iconic MCG, Melbourne Park and the beautiful Fitzroy Gardens. This upscale hotel is an escape from the ordinary, where travellers will discover a new level of warmth, service and sophistication. 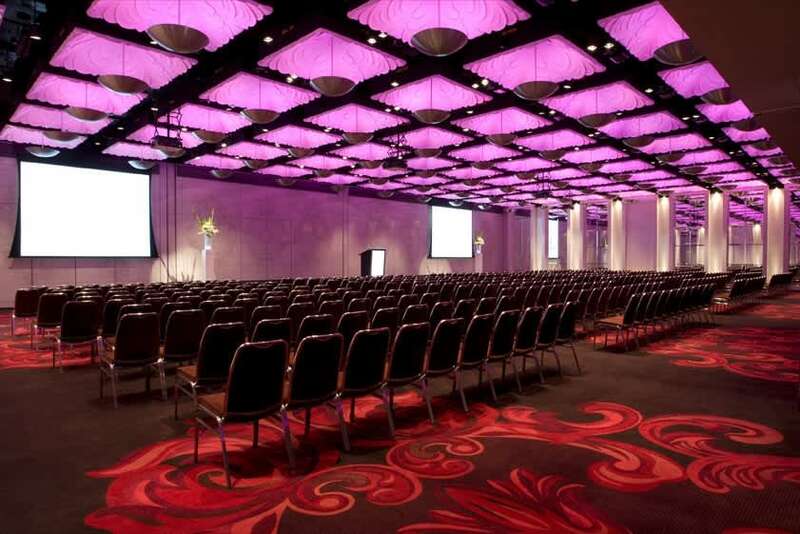 As one of the top meeting and conference destinations in Melbourne CBD, the hotel combines 419 contemporary rooms and suites with world-class meeting venues and personalised event support. 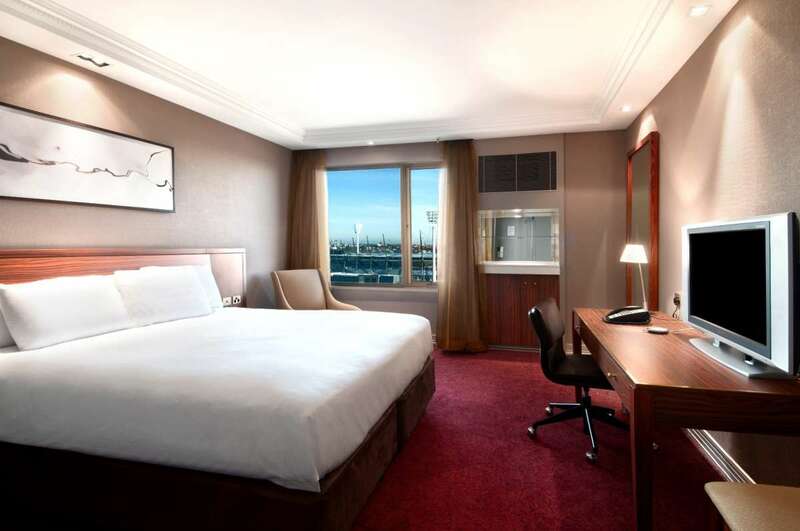 The hotel is 25km from Melbourne's Tullamarine Airport, a short walk from central business district as well great access via public transport with trains and trams on our doorstep. For guests arriving by car, valet parking is $49 per night and self-parking is available. 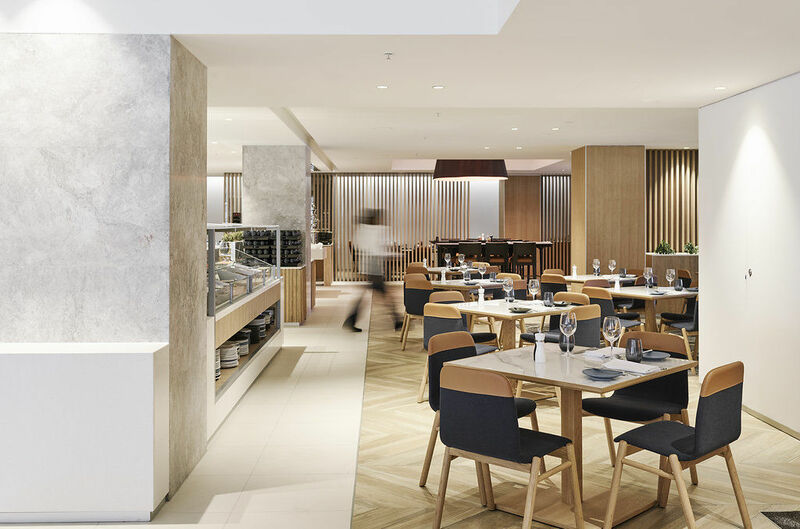 The hotel boasts easy access to Melbourne’s best dining experiences and restaurants only a short distance from the CBD, Richmond and South Yarra. 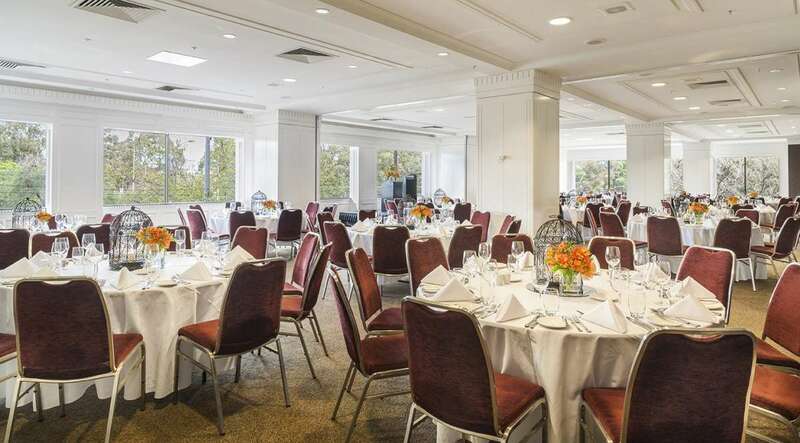 Pullman Melbourne on the Park offers flexible, professional conference facilities close to Melbourne’s CBD. Audio-visual specialist onsite partner, Audio Visual Dynamics, provide in-built, state-of-the-art equipment for any event. We offer venue hire for boardroom meetings for six, stylish cocktails for 1000, or exhibitions for up to 45 displays. Governor Wing rooms with MCG and Fitzroy Garden views, a grand ballroom and 11 event rooms meet your every need. Start a day of exploration with an excellent meal at the breakfast buffet. Plan great projects with colleagues over shared plates. Celebrate your team’s colossal win with cocktails and craft beer. Cap your day of work or play at The Cliveden Bar and Dining. Boost your energy with a bar snack. Order room service when you’re just too comfortable in your pyjamas. 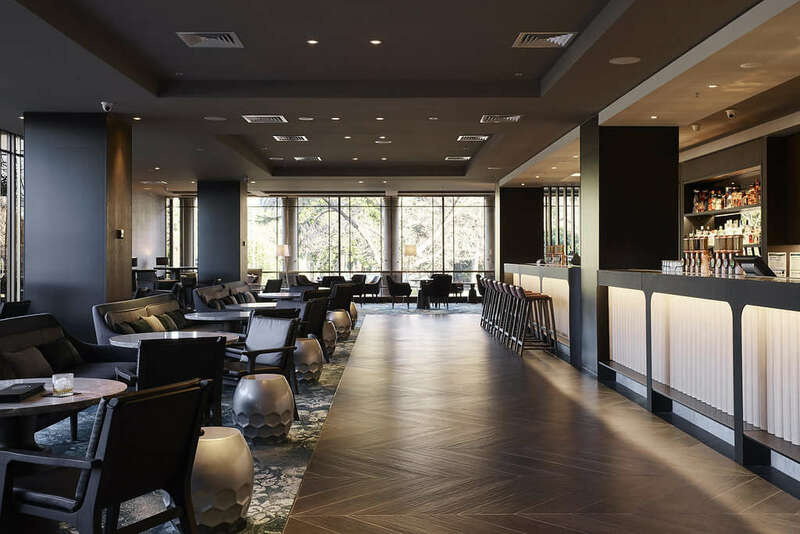 Whatever the moment demands, Pullman Melbourne on the Park has the perfect bar and restaurant. 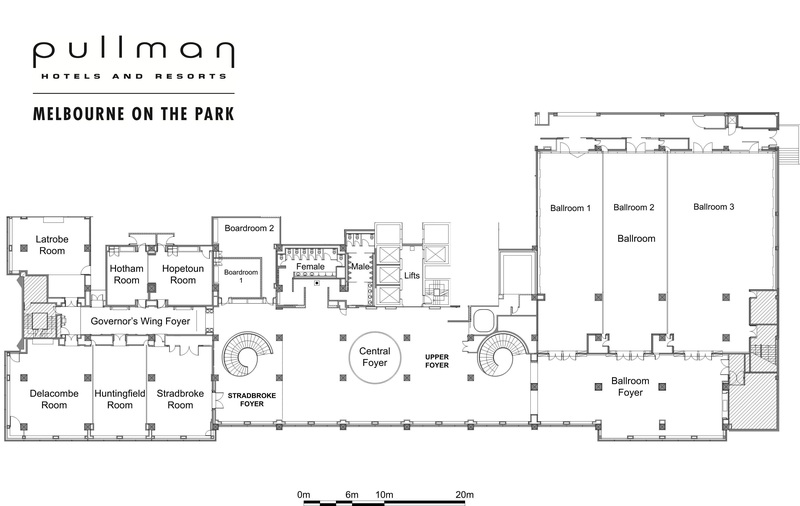 Pullman Melbourne on the Park is perfectly positioned at the edge of Fitzroy Gardens and opposite the MCG. Connect, socialise, reenergise on the threshold of the city, only minutes from Melbourne’s business, dining, sports and cultural heart. Make the most of your business trip, getaway or family holiday at Pullman Melbourne on the Park. Your choice of 419 rooms offers every amenity, including views over the MCG, Olympic Park and Fitzroy Gardens. Access to vibrant Melbourne is only minutes away by foot, tram or train. Each of our 40 suites has a separate bathroom and bedroom, and a third room with work desk and sofa bed. 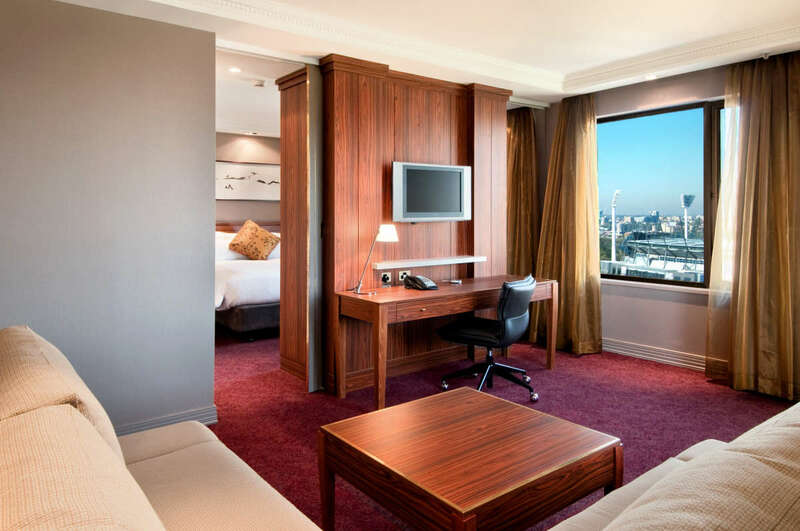 Our 36 executive rooms allow access to an exclusive executive lounge. 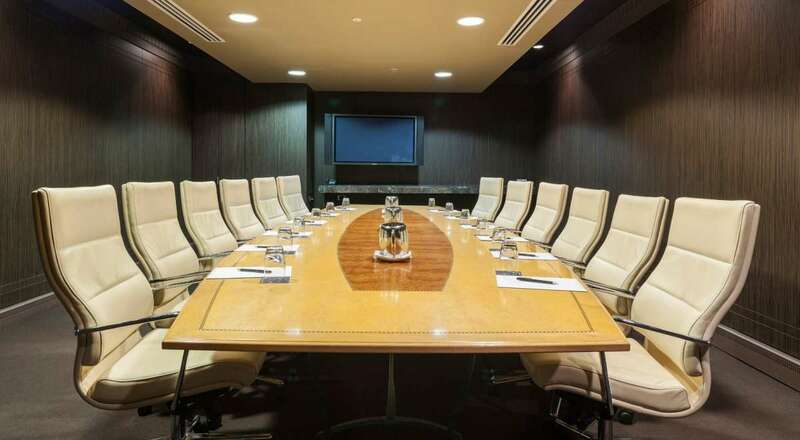 Pullman Melbourne on the Park offers flexible, professional conference facilities close to Melbourne’s CBD. Audio-visual specialist onsite partner, Audio Visual Dynamics, provide in-built, state-of-the-art equipment for any event. We offer venue hire for boardroom meetings for six, stylish cocktails for 1000, or exhibitions for up to 45 displays. Governor Wing rooms with MCG and Fitzroy Garden views, a grand ballroom and 11 event rooms meet your every need.